I would love to be able to work on this project more. 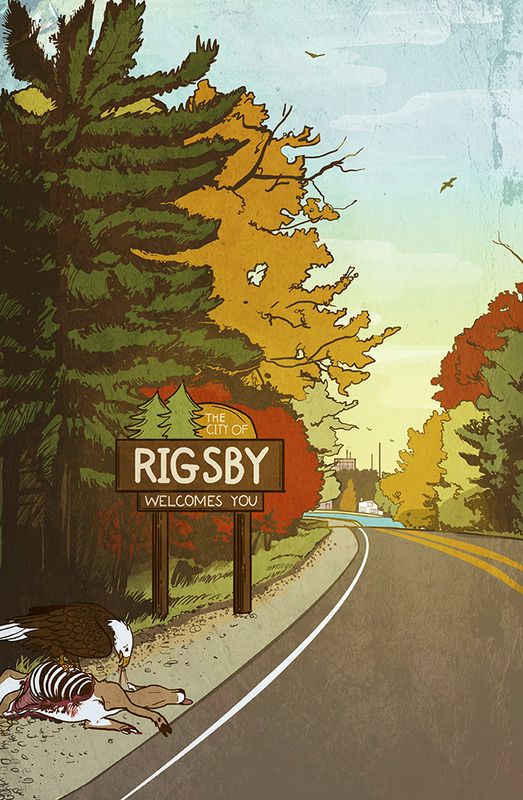 I have the ability to adjust my hours at my job, but I need to be able to replace my income with something — so the more I make with this Patreon, the more time I can dedicate to Rigsby, WI and the more content I can produce. Thanks for your support! You are a cool dude. Get access to exclusive page and panel previews not posted anywhere else! Access to exclusive previews, AND you get to read a full month of comics ALL AT ONCE. Beginning Jan. 1, 2019, on the first Tuesday of each month, all comic pages for the month will be posted to this tier, so you don't have to wait for them to come out week-by-week. Pre-comic release sketch blog entries are also viewable at this tier. A pdf book of chapters 3 & 4 of the original comic will be made available for download for patrons, $1 and up. The book will include the 3rd and 4th chapters of Cheap Thrills with commentary and side artwork/sketches, plus commentary on each page AND two BRAND NEW cover illustrations.